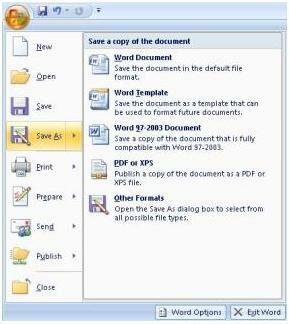 Click on the Office icon which you will find thein the top left corner of any Office application and select Save As from the menu that appears. Select the M: drive from drop down list, as demonstrated below. You can then select the directory into which you wish to save the file, or save in the root of the M: drive and click Save. Your document will then be saved and will be available to all users within your organisation.